Apple is still trying to find the right strategy for India. As the next giant untapped market shimmering on the horizon, Apple is looking to grow its brand in India — and to do so it’s taking the bold step of exiting the rapidly-growing sub-Rs 20,000 ($290) smartphone category by stopping selling its older iPhone 4s and 5c handsets. But the reason totally makes sense. Although both handsets are now several years old, they remain popular entry-level sellers in India, where the iPhone 4s can be bought for as low as Rs 12,000. By abandoning sales of the handsets, Apple raises its ASP (average selling price) in the country — bringing it more in line with other markets. According to Counterpoint Research, Apple’s ASP in India had declined 20 percent compared to one year ago. Of course, the risk in this is that Apple gives up a certain amount of market share to rivals like Samsung and low-cost Chinese brands. With that said, it also pushes “aspirational” buyers in the lower pricing tier to upgrade their handsets to higher-end, or mid segment, devices instead. As I’ve noted many times before, India is a big potential market for Apple, but it will take some experimentation to find the exact right strategy in a place where there is such a massive disparity between rich and poor customers. 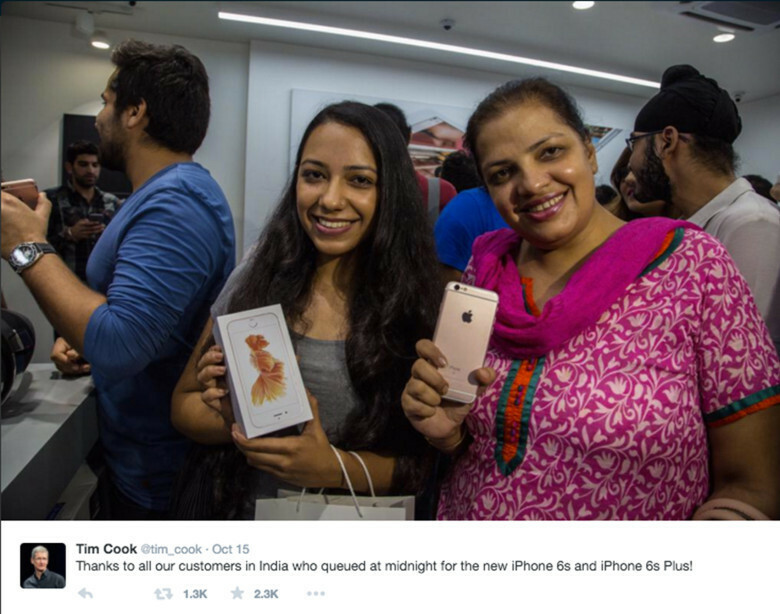 Previously, Apple has shown willingness to cut its prices in India to get its devices into more people’s hands. Apple is also pursuing other avenues to grow its Indian business. Last year Tim Cook met with the Indian prime minister to discuss all things Apple, and came to an arrangement about official Apple Stores in the country. There has also been talk of Apple opening an R&D center in India, while the education and enterprise markets represent other big areas of promise. In 2015, Apple finally surpassed the $1 billion sales mark in India. Let’s see how much better it can do in 2016!